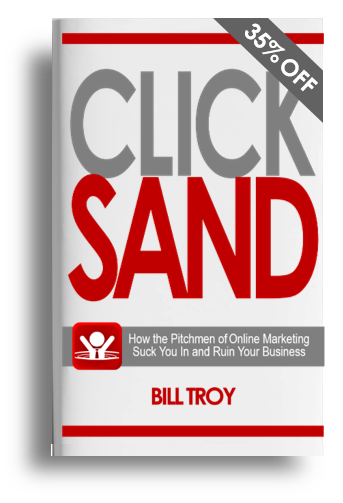 If you have heard Bill speak in person or on a podcast, we’d like to give you the chance to get CLICKSAND at a special 35% discount. Just give us your information and we’ll send you a note (and discount code) when the book is released in February! Send me a 35% discount code when CLICKSAND is available. I'd like to discuss having Bill on for an interview or as a keynote speaker. Let's have a quick call to explore the Civilis Marketing REALationships™ concept.